Acne breakouts are frustrating enough, but for many people, the red, clogged pores can turn into a long-lasting reminder in the form of acne scars. Acne scarring can cause physical as well as emotional discomfort. However, you don’t have to live with embarrassing acne scars. 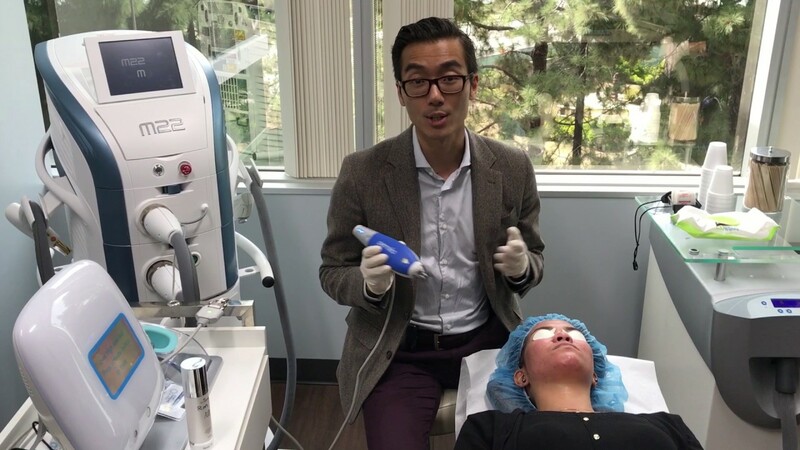 At Cosmetic Laser Dermatology in San Diego, our board-certified dermatologists and acne experts have more than 100 years of combined expertise and experience with a wide range of cutting-edge laser therapies, dermal fillers, and advanced dermatologic treatments to reduce your acne scars. When an acne breakout develops, your skin becomes inflamed as part of your body’s self-defense mechanism. However, when the inflammation gets too severe, the chances of a scar developing increase. This often occurs when you pick at whiteheads and blackheads or when the breakouts consist of pus-filled pimples or nodules. You can decrease the chances of scarring from acne by taking care of your skin, such as resisting the urge to pick at the blemishes, wearing sunscreen, and applying medicated creams. When you visit our San Diego office to discuss your condition, our specialists will address your concerns and/or learn your aesthetic goals before creating the right acne scar treatment plan for you. To see how we can help you, schedule a consultation today at Cosmetic Laser Dermatology. If you are suffering from acne scars, our board-certified dermatologists are at the forefront of cutting-edge treatments as we continually work to advance the field of cosmetic dermatology, conducting research studies and training fellow dermatologists on the latest techniques and technologies. 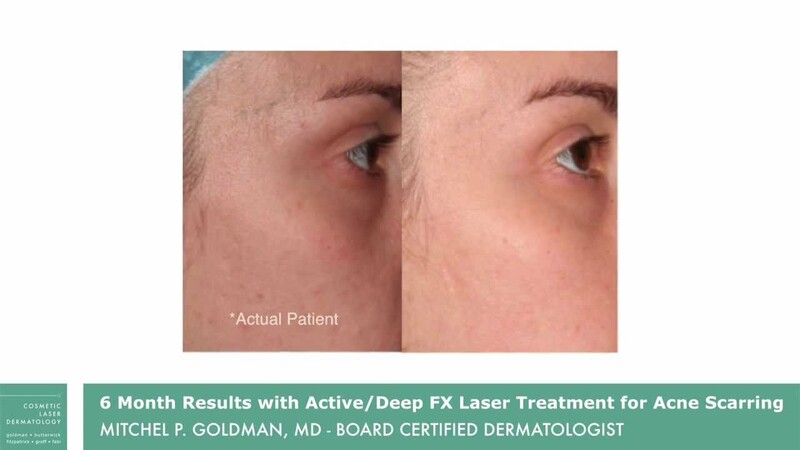 When performed by an expert dermatologist, laser skin resurfacing with a variety of lasers including the Ultrapulse CO2 laser, Accupulse, Sciton and Fraxel Re:Pair, ResurFX fractionated non-ablative resurfacing, and pulse dye laser effectively minimizes acne scars by selectively targeting the top layers of your skin where the scars have formed. The result? A restored youthful glow and clear, healthy skin. Sometimes, in addition to enduring acne scars from previous breakouts, you may also be suffering from continued acne breakouts. In this case, we have the ideal solution –Photodynamic Therapy (PDT). 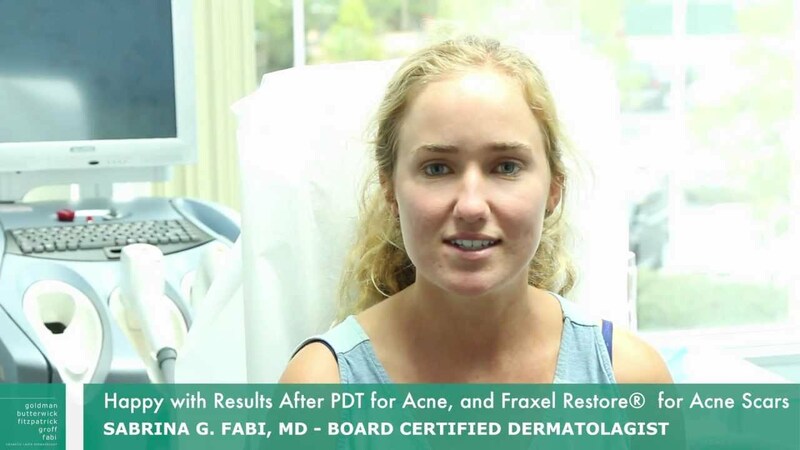 PDT involves the use of photochemical reactions to topical photosensitizing agents. 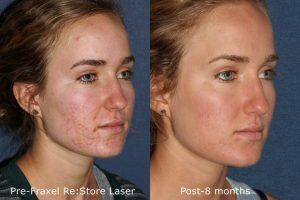 Once your skin is ready for treatment, a selection of four precise wavelengths of lasers (PDL, IPL, Blue Light, and Red Light) are applied directly on the acne lesions and scars. This activates the photosensitizing agent, which reduces both acne and acne scars. Although Bellafill is a dermal filler often used to reduce smile lines, it is also FDA-approved to correct depressed acne scars. Effective for all skin types, it provides volume and plumpness to the skin, which improves the appearance of acne scars. Bellafill is unlike other dermal fillers because it does not gradually dissolve, so it can be permanently placed into the skin to correct scars and uneven texture on the cheeks. Dermal fillers like Juvéderm, Restylane, Belotero, or Sculptra can also effectively lift and smooth away creases and indentations caused by poorly healed blemishes and acne outbreaks. 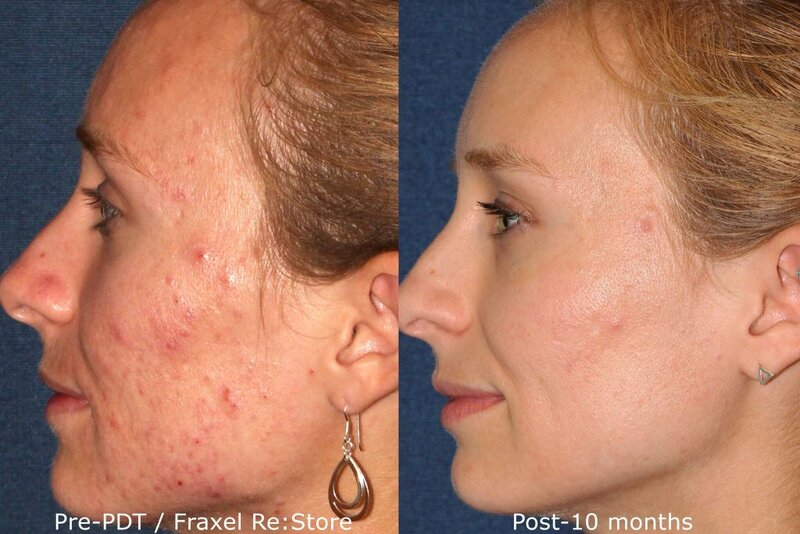 An energy-based treatment called IntraCell is great at reducing the appearance of acne scars. IntraCell is a radiofrequency microneedling treatment that uses innovative radiofrequency energy to target a wide variety of scars. It can be adjusted to treat acne scars, surgical scars, trauma-related scars, and others. In some cases, a minimally-invasive procedure called subcision may be necessary to correct depressed acne scars. The treatment involves removing the fibrotic strands that pull the skin down, allowing the depression to lift and creating a smoother surface. At Cosmetic Laser Dermatology, we are dedicated to maintaining your healthy skin and appearance. Our board-certified dermatologists are pioneers in laser technology and research in the dermatologic industry, and through the use of state-of-the-art equipment and cutting-edge laser techniques, we can correct your acne scars, so you can achieve your aesthetic goals. ncbi.nlm.nih.gov has more information on all the new state of the art treatments we do here at Cosmetic Laser Dermatology. Schedule a consultation with our knowledgeable, friendly staff to address your concerns and give you the youthful appearance you deserve. Contact Cosmetic Laser Dermatology today to find out which skin-rejuvenating treatment will help you achieve clearer, smoother skin. Q: What types of acne cause scarring? A: Almost any type of acne can result in scarring – pimples, blackheads, whiteheads, cysts, and nodules. However, the ones that leave deeper impressions in your skin, such as nodules and cysts, are the ones that are the most likely to leave scars. Q: What is the best treatment to help reduce acne scarring? A: This varies from person to person, as what benefits you may not work for someone else. The best way to determine which acne scar treatment will benefit you is to schedule a consultation with our team of skin experts. Q: Who should perform treatments for scars? A: For the safest, most effective results possible, you should undergo acne scarring treatments from a board-certified dermatologist or cosmetic surgeon. They have the training and knowledge to customize a treatment plan that meets your aesthetic goals. 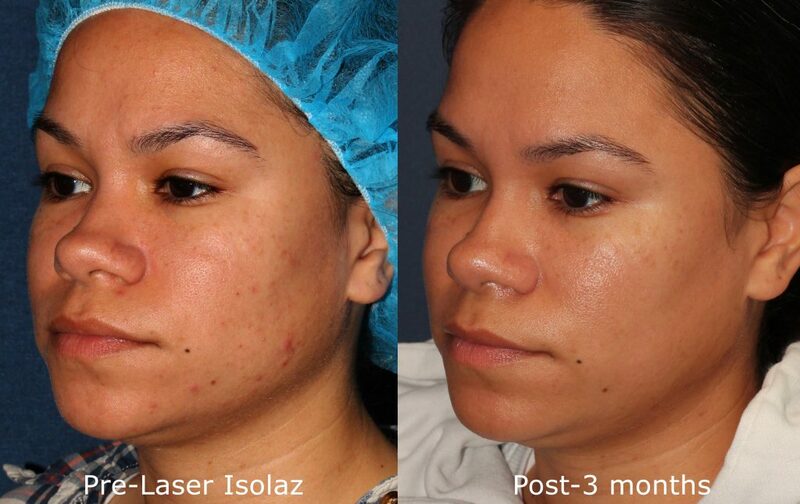 Q: How much are acne scarring treatments at Cosmetic Laser Dermatology? A: Because there are various treatments for acne scarring, each customized to meet your unique condition, the cost depends on various factors such as the extent of your scar tissue and the overall condition of your skin. 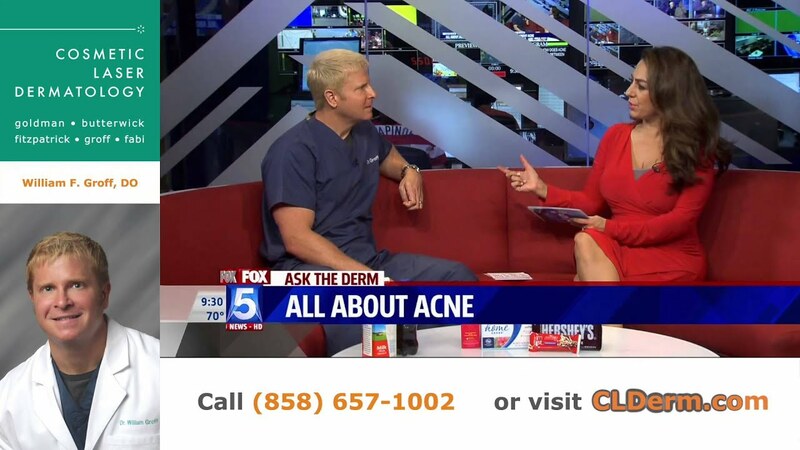 After an initial consultation with our acne experts, you’ll be able to determine your cost. 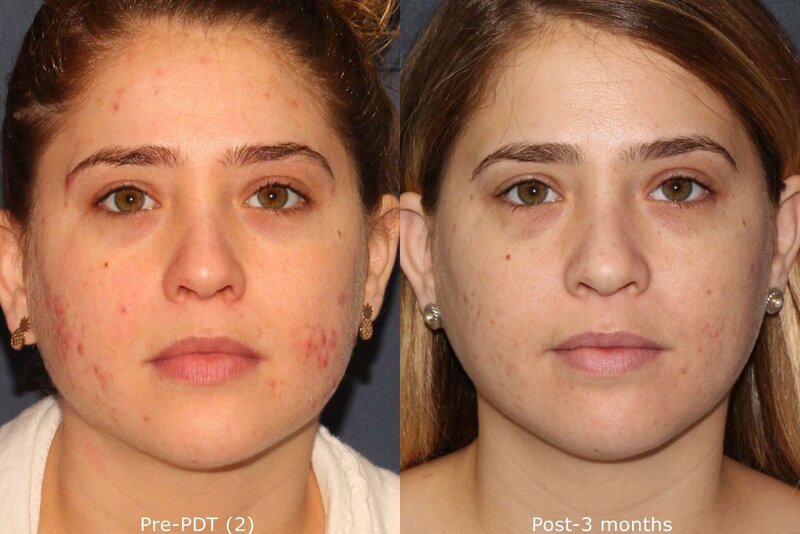 Q: Are acne scarring procedures safe? A: Absolutely! At Cosmetic Laser Dermatology, we take your skin seriously. Once we assess the extent of your acne and/or acne scarring, we will tailor a treatment plan that’s not only effective but also safe enough to correct your condition. Furthermore, we specialize in minimally-invasive solutions that produce beautiful, natural-looking results. A: This depends on the treatment. Sometimes, you can see visible results immediately, whereas other treatments might take 3-4 sessions to get the results you want. 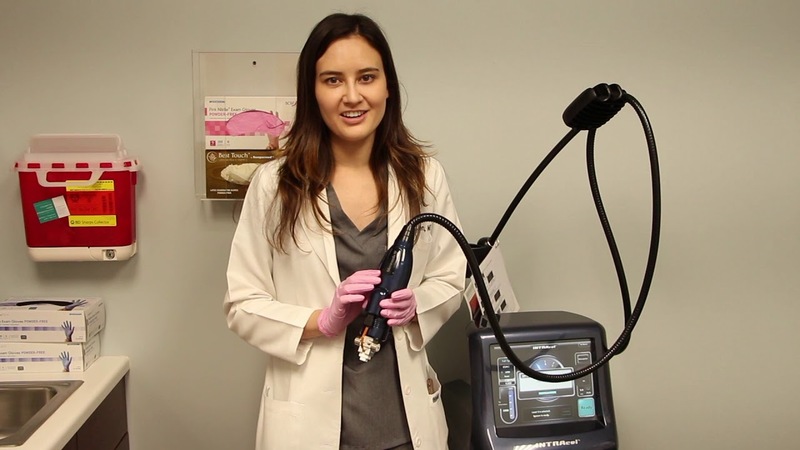 Q: Is laser skin resurfacing for my acne scarring painful or does it cause downtime? A: Generally speaking, laser therapy does not cause a lot of discomfort. You may feel what seems like a rubber band snapping on your skin as the laser passes over your scar tissue. Laser skin resurfacing causes downtime which varies by the intensity if the treatment. You may have temporary side effects like redness, swelling, tenderness, and itching for 3-10 days.